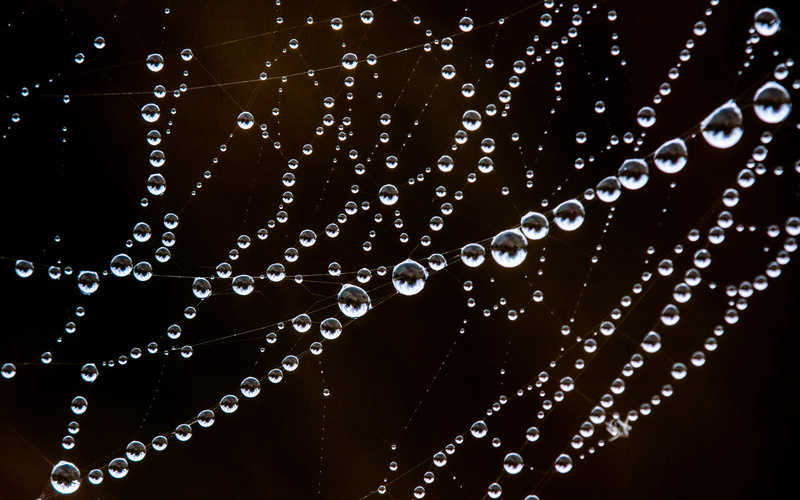 The spiderweb was tattered and the spider was absent, but the globular drops of dew gave the scene a magical feel as the early morning light turned them into transparent pearls. As I looked more closely, I saw there was a miniature upside down version of the landscape in many of the drops. For the ease of the viewer, I flipped a cropped version of part of the scene 180 degrees in the first photo below to give a better sense of the “landscapes” that are shown right side up. 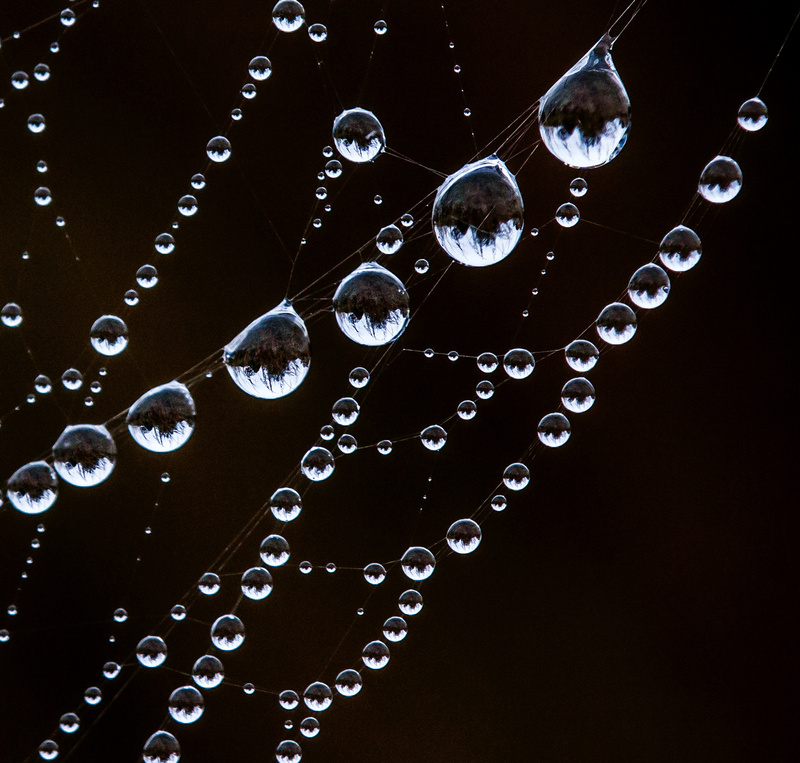 The second image shows a wider view of the strings of glistening drops. 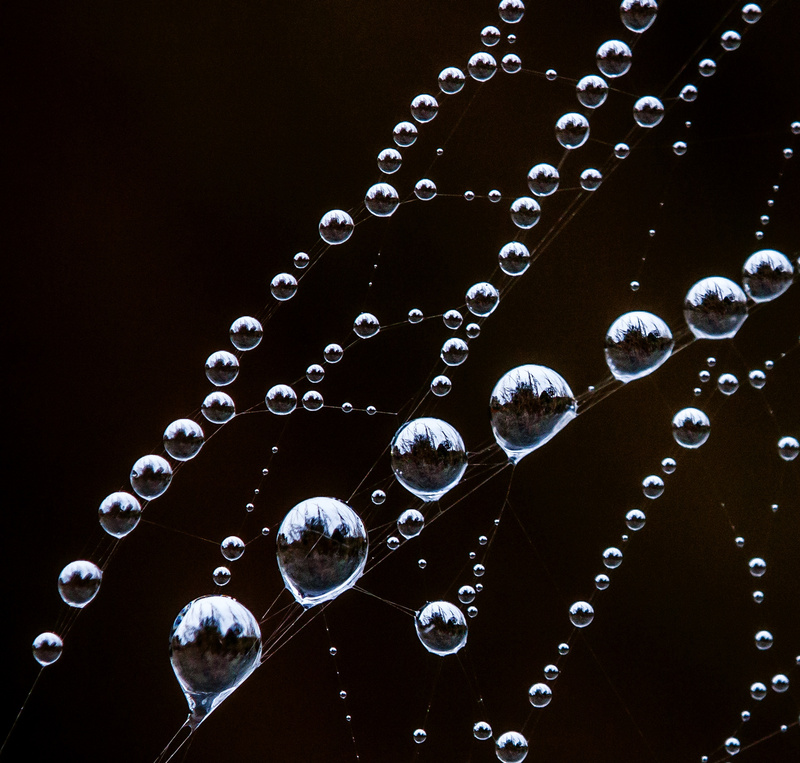 The final image is the same as the first one, but rotated back to its original orientation, so that the normal rules of gravity apply and the dew drops are hanging down from the silken strands of the spider web. Stunning shots Mike well caught! Stunning shots Mike, well caught! These are beautiful, Mike. Very nicely done! WOW!!!!!! SO AWESOME!!!! Love the PHOTOS!!! These are so cool, great eye, Mike! Wow! Fabulous images, Mike. They are very magical. Now if I could only figure out how to duplicate the effect intentionally. I suspect that there is a way to do so, but for now “fun house” seems to be an apt description. Fantastic! And all the more intriguing because I just watched a fascinating TED Talk about the magical properties of spider venom.